Where to buy bitcoin. For those who want to invest in Crypto! 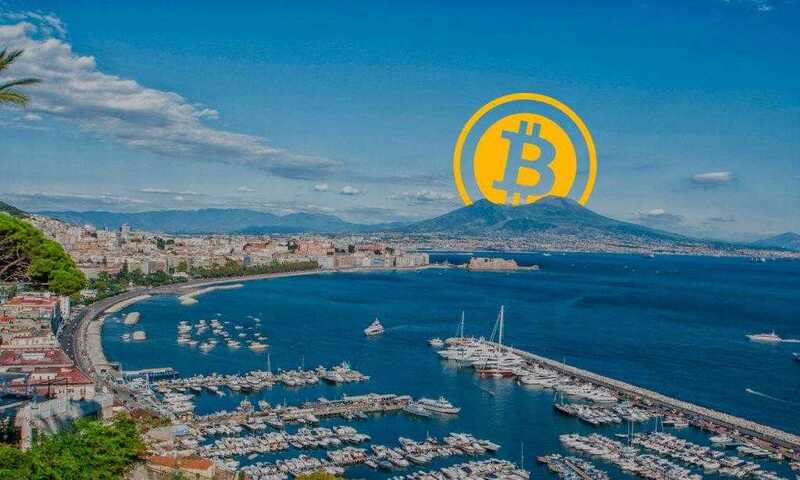 In this article we will provide you an how and where to buy Bitcoin Guide, to buy your favorite crypto easily, quickly and safely. You might have noticed how over the past few years the way we can buy bitcoin has changed a lot. Our first purchases were somewhat “complicated”. Buying in an exchange abroad, without the possibility of paying by card. This means to deposit all the trust in exchanges that, in many cases, have closed with the funds of their clients. 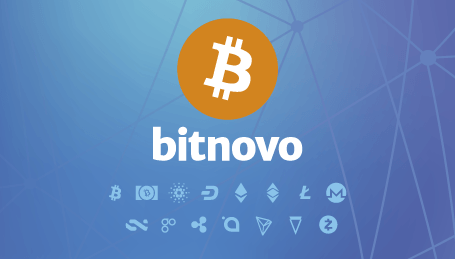 After several bad experiences, we set out to launch Bitnovo, with the purpose of facilitating the access and use of cryptocurrencies. 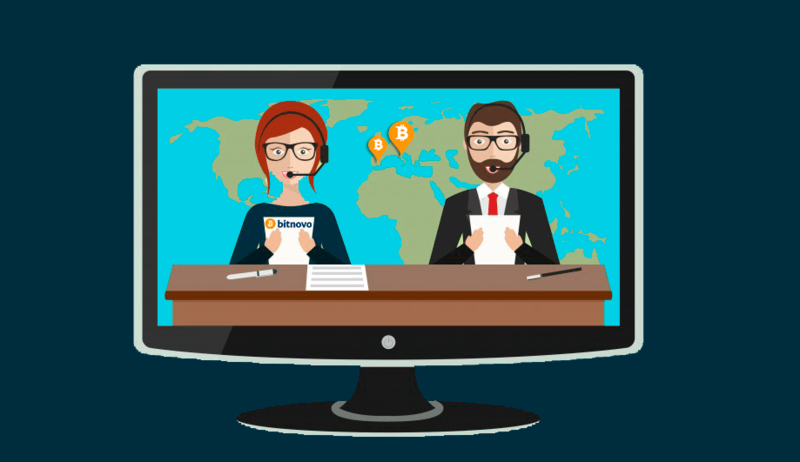 In the next paragraph we will show you the various solutions to learn how and where to buy bitcoins and cryptocurrencies without taking unnecessary risks, that may pose a danger to your savings. Today you can buy bitcoin with a debit or credit card, practically instantly through the internet. You can also buy by bank transfer with less than 24 hours since its completion. All this facilitates the purchase of bitcoin, to be able to do it from your home, with total confidence. 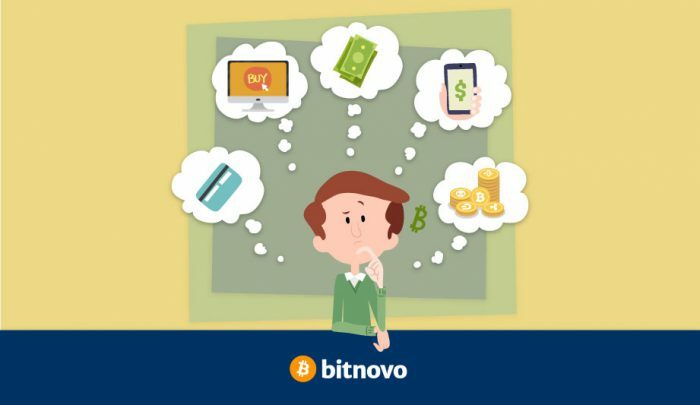 Websites like Bitnovo send bitcoin to your favorite wallet so you do not have to leave your funds deposited on the platform. The bitcoin ATM is one of the favorite methods for users to buy bitcoin quickly and safely. At ATMs you buy with cash and you do not need to register or pass verification procedures. On the Bitnovo page you can check the ATMs closest to your location. It is the latest fashion in the world of cryptocurrencies. Now you can buy bitcoin in many physical stores around the world. Our recommendation is to buy in stores that can offer guarantees such as a tobacconist or a franchise such as Carrefour, Fnac, Game. In the stores you can buy by cash or card and it is not necessary to register. It is a very fast and safe method. 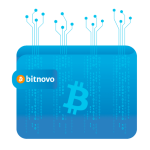 Bitnovo currently has more than 15,000 stores in Spain and Italy and is in the phase of launching in other countries with a forecast of more than 250,000 stores by 2018. Here is the list of where to buy bitcoin in stores. 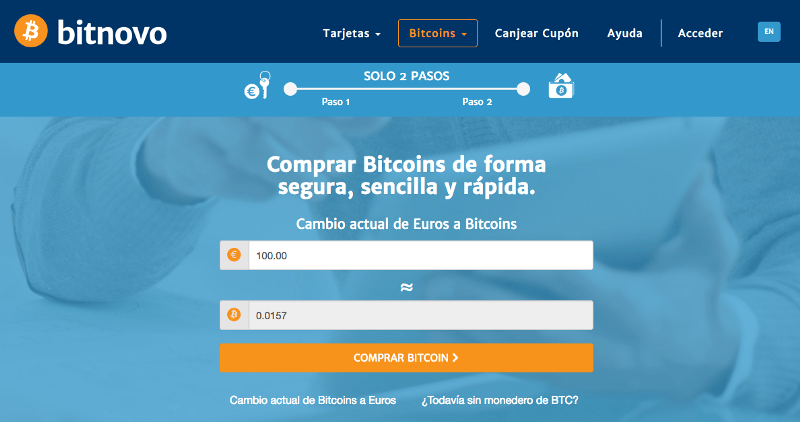 We hope that this little guide will help you learning how to buy bitcoin and other cryptocurrencies and know the safe methods to buy them. Currently the offer is much higher than a few years ago. This means that the people who have just started with cryptocurrencies, have it much easier.